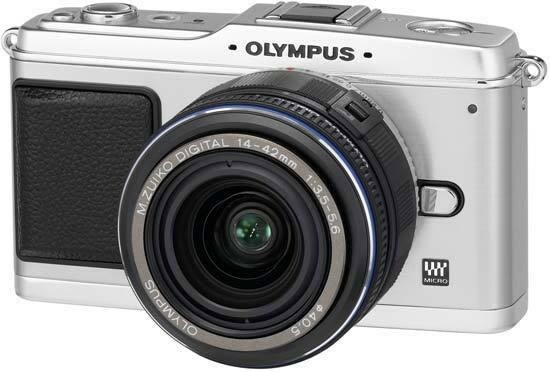 The Olympus EP-1 is a brave and largely successful attempt at fusing the small size and handling of a compact camera with the image quality and features of a DSLR. Most potential buyers won't remember the camera or decade that inspired the distinctive looks of the E-P1, so it's definitely a good thing that it's so easy on the eye, in an understated retro kind of way. The EP-1 is also superbly well made given its mid-range price-tag, with no complaints at all in the build department. Lavish attention to details oozes out of every pore of the E-P1, with the 14-42mm even having a retractable locking mechanism that halves its length when not in use. Very neat. And thankfully the E-P1 is not just well-designed, offering the best image quality that we've yet seen on a Four Thirds camera. It surpasses the E-620, offering a leap forward in low-light performance, so much so that the E-P1 is the first Four Thirds camera to offer comparable quality to an APS-C DSLR, despite the smaller sensor size. Olympus have certainly made real strides here. The feature list is also excellent, with many of the highlights from Olympus' recent DSLRs naturally finding their way onto the E-P1. The well-proven Image Stabilisation and Dust Reduction systems are present and correct, and creative options like the Art Filters, multiple exposures, Shadow Adjustment Technology, level gauge and gradation adjustment all help you to capture that perfect shot. 720p HD video complete with zoom, auto-focus, art filter effects and control over aperture is a real bonus, surpassing what most compacts and DSLRs currently offer, although it's somewhat spoilt by the intrusive sound of the zooming and focusing systems and limited recording time. We can even forgive the large but low resolution 3 inch LCD screen, thanks to its wide viewing angle and excellent visibility even in bright conditions. Which is just as well, because we now come to the features, or rather the lack of features, that detract from the E-P1's overall appeal. While the lack of an optical or electronic viewfinder won't phase upgraders from compacts, who are used to composing a picture holding the camera at arm's length, DSLR users will certainly miss being able to hold the camera up to their eye. The lack of a flash won't bother the latter group, but the former will wonder why on earth a compact camera from 2009 doesn't have a built-in flash. Both issues can be solved by purchasing the optional accessories, but you can't physically fit both at the same time, and there's the obvious additional costs and additional bulk too. Despite these short-comings, the Olympus EP-1 is still a very appealing and refreshingly different camera that does indeed combine the best features of compact and DSLR cameras. It's not a pocketable camera by any means, contrary to how Olympus are marketing it, but it is small and unobtrusive enough to carry over a shoulder without attracting too much attention. The EP-1 represents a significant upgrade for compact owners who don't want the bulk of a DSLR, and a great second camera for DSLR users who want something smaller without sacrificing image quality, ultimately satisfying the needs of both groups. Olympus have taken the bold step of creating a camera that fills a clear gap in the market, rather than just following the crowd, and the EP-1 certainly deserves all the success that it will surely get.